A spectacular species from Ethiopia. Where it prospers it makes a small shrub. 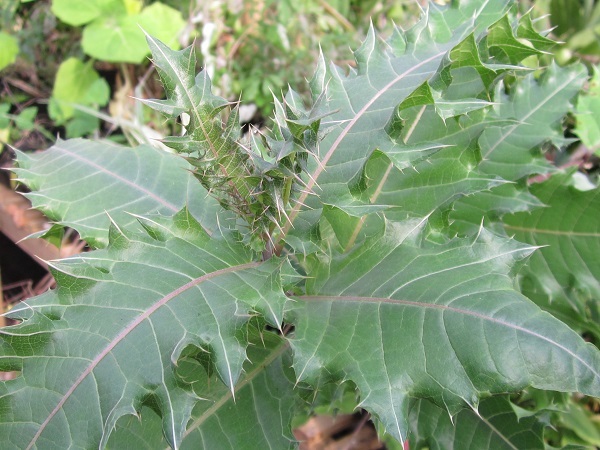 In summer the stems are topped with long heads of bright red flowers. It is quite spectacular and has become much sought after in recent years, but a series of cold winters have caused some damage. I was first turned on to it by a plant in the walled garden at Wisley which was astonishing for a couple of years but rather badly set back by last winter. Fortunately it has survived, and it will return to magnificence. 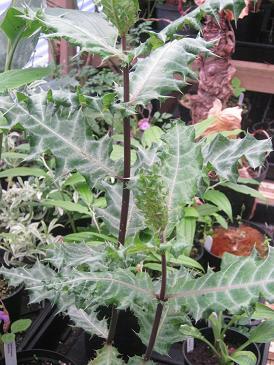 I bought a young plant in spring and have grown it in a very big pot in the greenhouse. I am hoping that if I can get it large enough, it will stand a better chance when it finally has to go outside. Hopefully I will also manage to root some cuttings before then as an insurance. 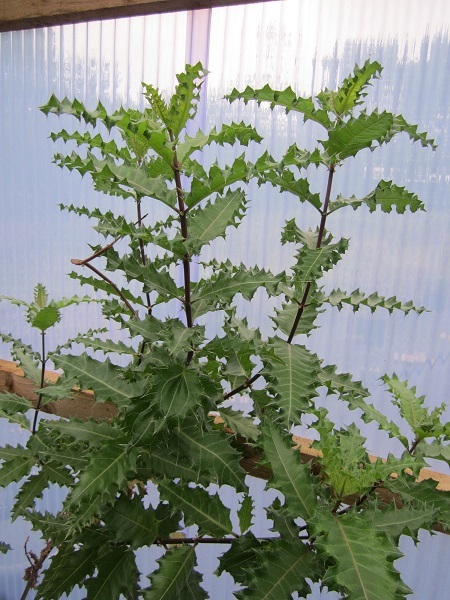 Large prickly leaves along the stems, which are upright outside, but have flopped a bit in the greenhouse. I still haven't had the courage to plant it out. A change of plan has seen it planted in the Agave house where it has greatly prospered in the warm dry conditions. I still plan to root cuttings and try it outside, but I am going to enjoy it under cover as well. It has felt like a long wait for flowers but at last I can enjoy them. 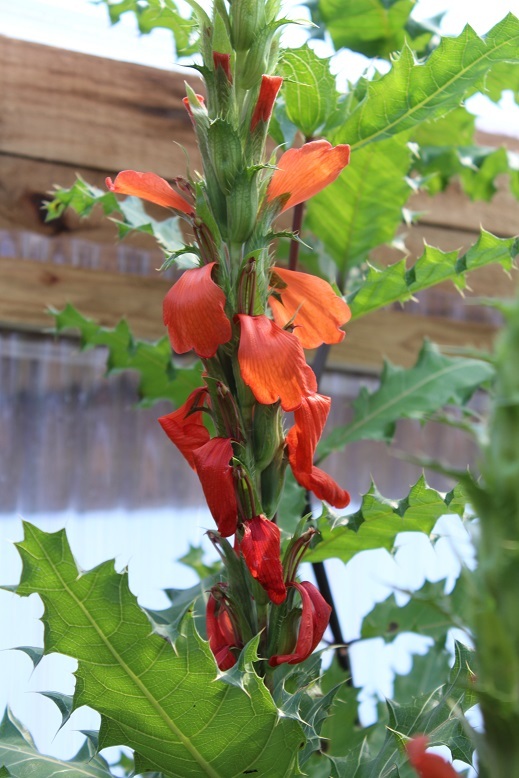 The shrub has grown large in the protection of the Agave house, and continued in flower for several months.